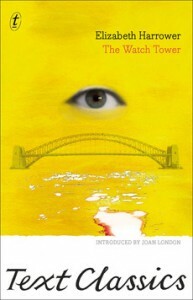 The Watch Tower, a reprint of Elizabeth Harrower’s 1966 novel is pre-Germaine Greer and 1970s feminism. It is an intense psychological drama depicting life ‘behind closed doors’, in an upper class Sydney suburb with a view of the harbour. Dependence, abandonment, possessiveness, manipulation, alcoholism, self-harm, secrets, lies and violence are challenging companions for the sensitivity, kindness, trust and hope that co-exist in this novel. These subjects are more topical today that when Harrower dared them, she was in the vanguard of their exposure. Protagonist, the kind hearted Laura, cares for her newly widowed mother and younger sister, Clare. Laura forsakes her dream of studying medicine or opera to care for her younger sister when their mother promptly abandons them to live in England. But, before taking off, she virtually arranges a marrige between Laura and ultra creepy business man, Felix. The sisters relationship is captivating as Clare observes – she lives with Laura and Felix- Laura’s enslavement to Felix. Laura, the carer, becomes the cared for as Clare observes the perilous situation her sister is living. Eventually, however, Clare escapes the home, forsaking Laura, to save herself. Harrower pays little attention to setting or the sweet things of life. This is not a home with roses in a vase on a hall table. Rather, weeds in the lawn dominate the garden, and are symbolic of the ugliness that pervades Felix’s soul. The sisters are in a page-turning bind which Harrower resolves without a drop of blood, or a rainbow on the horizon.